to dramatize, to persuade, and perhaps even to amuse. To design is to transform prose into poetry. 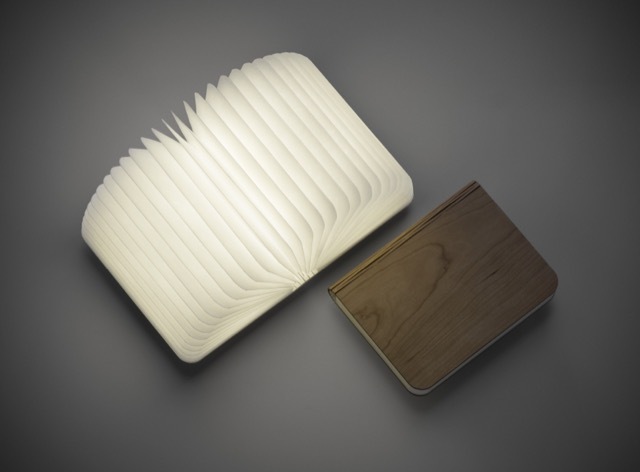 Lumio, a book of light designed by Max Gunawan. 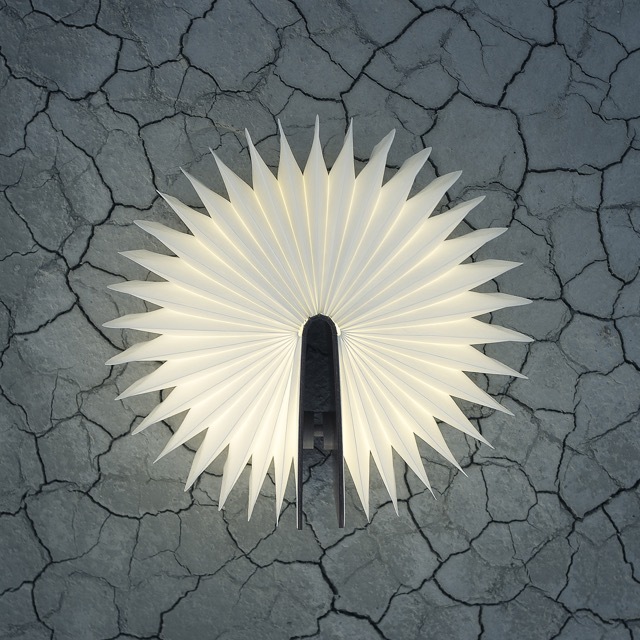 I’m absolutely giddy to share this post about Lumio, which is essentially a book that opens into a light fixture: talk about a product that exemplifies literary design! Though no words appear in its interior, to take two covers in your hands and part them to create light is nothing short of magical, don’t you think? I came across the fixture when I received news of an exhibition at Messler Gallery in Rockport, Maine, which opened on January 23rd and runs through April 1st. Dubbed “Beautility,” the show celebrates objects made from natural materials, namely wood given the gallery is within the Center for Furniture Craftsmanship—a woodworking school furthering Maine’s storied tradition with this material. Some of the featured works, such as the hand-tied brooms made by Appalachian artist Brenda Harman, are being shown for their authenticity and simplicity. On this list of humble beauties are buckets, bicycles, boats and Harman’s brooms. 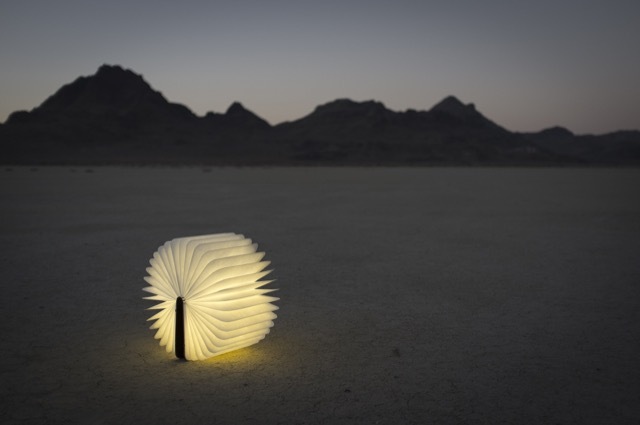 Lumio really is a book of light! Lumio is included in the exhibition “Beautility” at Messler Gallery. In my eyes, it is the element of surprise that infuses Lumio with its breathtaking beauty, an accomplishment that would not have been possible without the advancements LEDs have brought to the design arena. I am not going to be able to make it to the exhibition before it closes so I suppose I will just have to order one of these rechargeable marvels in order to see it for myself! 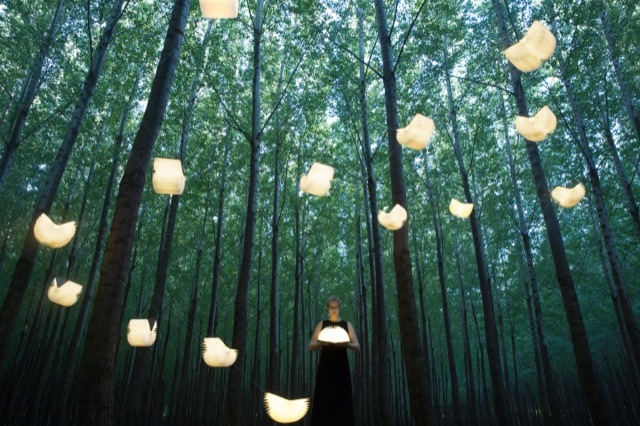 Lumio is a veritable sculpture of light. The studio behind the design, also named Lumio and founded by Gunawan, is dedicated to helping people live large with less by focusing on multi-functional, everyday objects that are simple, intuitive and beautiful. If Lumio is any indication of what’s in store for future product releases, they are nailing it! Gunawan spent ten years as an architect before launching this new effort, which was named one of the Top 10 Most Innovative Croundfunded Companies by Entrepreneur magazine in 2003. The Jakarta-born/San Francisco-based designer tells his story in the video below, which was filmed at a recent TEDx conference. It’s a true example of authenticity and leaving a legacy. The self-described accidental entrepreneur’s Kickstarter campaign funded his $60,000 goal in two days, raising ten times that amount in the 30 days it was live. This DesignStudio is well worth watching for the novel ideas that will likely be coming out of its collective conscience. I see a torrent of romantic evenings unfolding (literally) when this product hits the market! The Modern Salonnière and this DesignLabs entry A Book of Light © Saxon Henry, all rights reserved. Saxon is an author, poet and strategist. Her books include Anywhere But Here, Stranded on the Road to Promise and Four Florida Moderns.